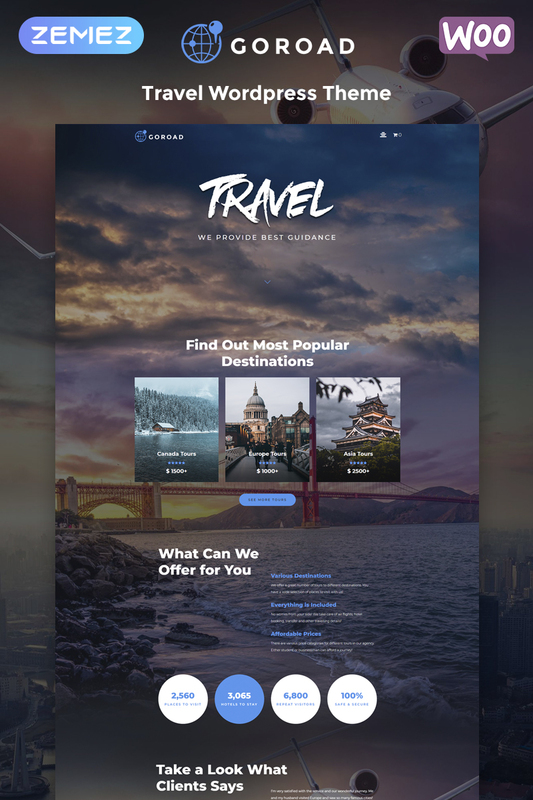 Liven up your travel agency's image using Goroad theme. Your website will look stylish and professional thanks to this theme. You will be able to provide a full range of services, information about tours and much more. You will customize your website according to your preferences and vision using powerful functionality of Goroad theme. 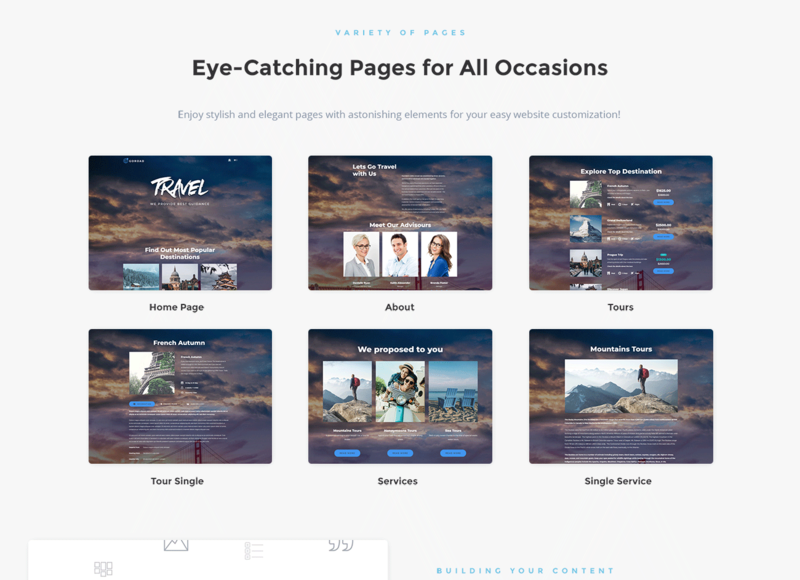 It contains Jet plugins bundle for Elementor page builder, which will allow creating attractive page layouts and enriching the content with eye-catching elements easily and quickly. With JetThemeCore plugin, you will create custom headers, footers, and special pages. You will get the set of widgets to build different kinds of content without any coding knowledge. JetTabs plugin will be helpful by organizing the content in a compact way. JetBlocks plugin will allow implementing additional functionality to headers and footers. 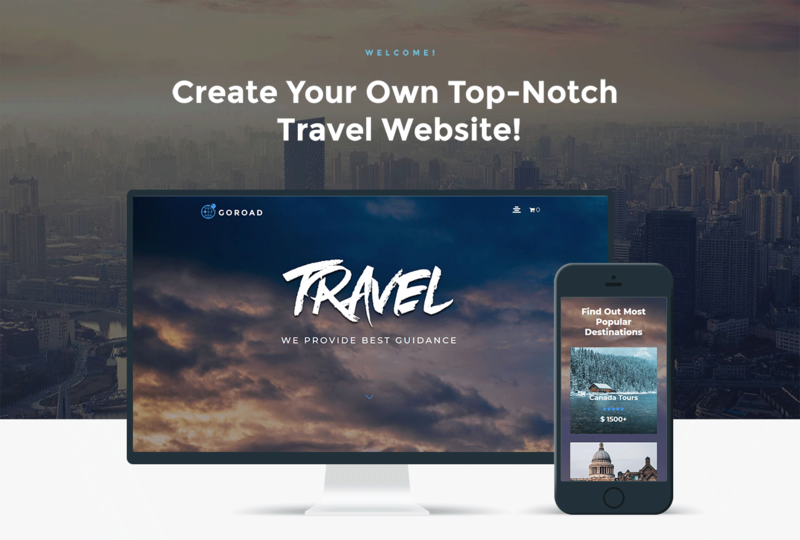 Your travel agency will become competitive and popular thanks to a responsive Goroad theme.